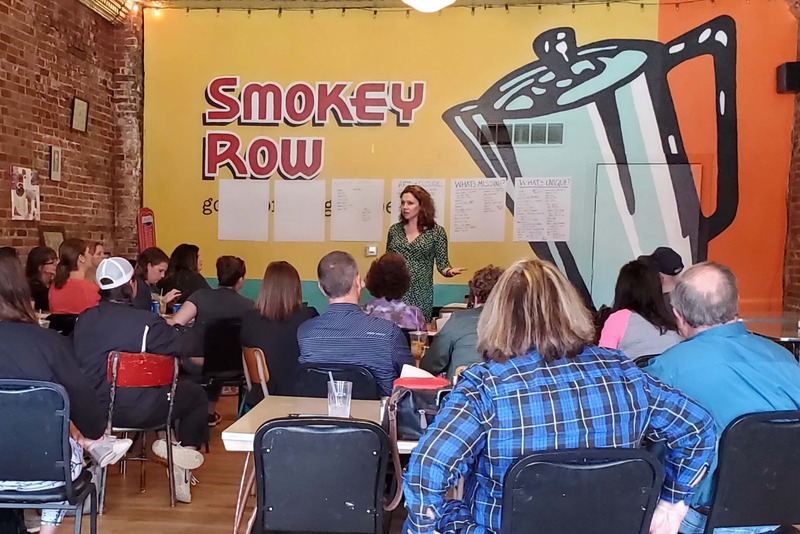 An effort to bring new life into Pleasantville’s business community is underway, as citizens come together to offer suggestions about what they would like to see to make the town an even better place to live. The Clive-based McClure company helped facilitate two forums in Pleasantville on Tuesday; a morning session took place at Smokey Row, while an evening event was held at Memorial Hall. McClure is doing what it calls “creative placemaking” to help plan out Pleasantville’s future; this begins with asking residents what is unique about the town, what they like about it and what is missing. Libby Crimmings from McClure tells KNIA/KRLS News she will be conducting more forums and doing a series of interviews in order to create a road map the city can follow in its future development. “My goal is to learn as much as I can about the community, and then there will be a few months’ worth of research in trying to figure out some capacity assessments. So if we want to create a new amenity in town, my job is to figure out how are we going to fund it, who’s going to run it, is it going to be sustainable,” Crimmings says. Crimmings says many times a town or city will do such a study, but then leave it sitting and never follow through on any of the recommendations. She wants to ensure the people of Pleasantville are able to carry through on the final plan. She says this process will take about five to six months.